The award-winning and New York Times bestselling author of Beautiful Children has created an unflinching yet deeply humane portrait of a young family's journey through a medical crisis, laying bare a couple's love and fears as they fight for everything that's important to them. New York, 1993. Alice Culvert is a caring wife, a doting new mother, a loyal friend, and a soulful artist--a fashion designer who wears a baby carrier and haute couture with equal aplomb. In their loft in Manhattan's gritty Meatpacking District, Alice and her husband, Oliver, are raising their infant daughter, Doe, delighting in the wonders of early parenthood. Their life together feels so vital and full of promise, which makes Alice's sudden cancer diagnosis especially staggering. In the span of a single day, the couple's focus narrows to the basic question of her survival. Though they do their best to remain brave, each faces enormous pressure: Oliver tries to navigate a labyrinthine healthcare system and handle their mounting medical bills; Alice tries to be hopeful as her body turns against her. Bracing themselves for the unthinkable, they must confront the new realities of their marriage, their strengths as partners and flaws as people, how to nourish love against all odds, and what it means to truly care for another person. 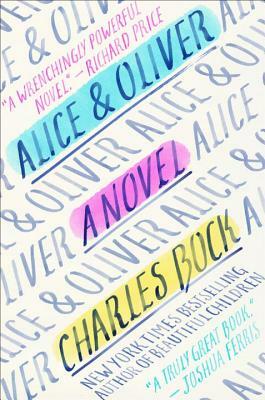 Inspired by the author's life, Alice & Oliver is a deeply affecting novel written with stunning reserves of compassion, humor, and wisdom. Alice Culvert is an extraordinary character--a woman of incredible heart and spirit--who will remain in memory long after the final page. Charles Bock is the author of the novel Beautiful Children, which was a New York Times bestseller and Notable Book, and which won the Sue Kaufman Prize for First Fiction from the American Academy of Arts and Letters. His fiction and nonfiction have appeared in Harper's, The New York Times, the Los Angeles Times, and Slate, as well as in numerous anthologies. He lives with his wife, Leslie Jamison, and his daughter in New York City.